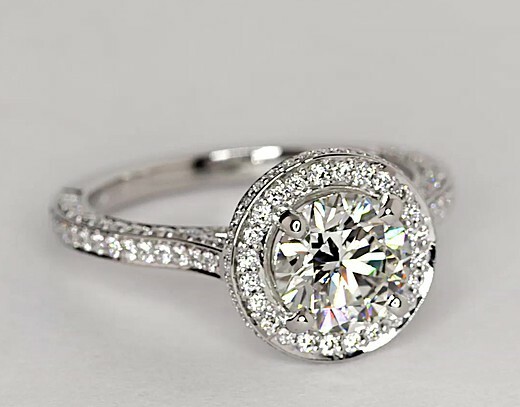 Breathtaking in design, this diamond engagement ring showcases round diamonds pavé-set to be seen from the top and side in platinum. 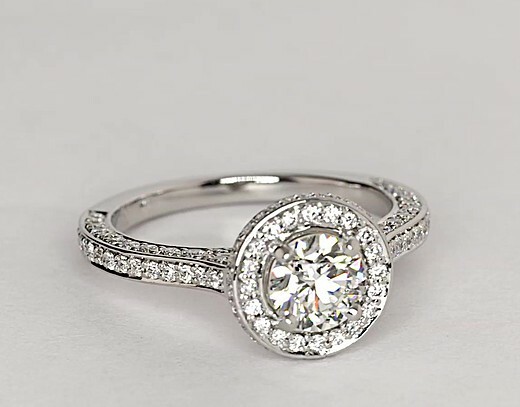 The design brings added brilliance to your choice of center diamond. Inventory on this style is limited to stock and sizes on hand. Special orders are not available for this style.